Colorado’s chefs were living the locally grown, fresh-food life long before it became a movement in other parts of the country. Restaurants from all over the state take the farm-to-table approach beyond beets, meats and arugula — and they're pairing them with local wines that are growing in esteem. With such varied agricultural zones, we can grow just about anything, including premium wine grapes, which makes it possible to visit a local winery and enjoy those same wines at a fantastic restaurant later that evening. Boulder has been setting the standard when it comes to Colorado’s farm-to-table movement. Restaurants source produce and meats from farms within the county, and there are a host of craft brewers, a forming cottage wine industry and a growing number of local distillers (Altitude Spirits and Vapor Distillery are a couple). Once named the foodiest town in the U.S. by Bon Appetit, this college town has its share of epicurean eateries. One is SALT, located on the famed open-air Pearl Street Mall. Led by esteemed chef Bradford Heap, the seasonal menu is delicious and surprisingly simple with staples such as roasted chicken, pork chops and housemade fettuccini — using locally grown spinach — leading the way. The local influence carries over to the drink menu as well, which presents its ingredients in a custom, choose-your-own-adventure style. 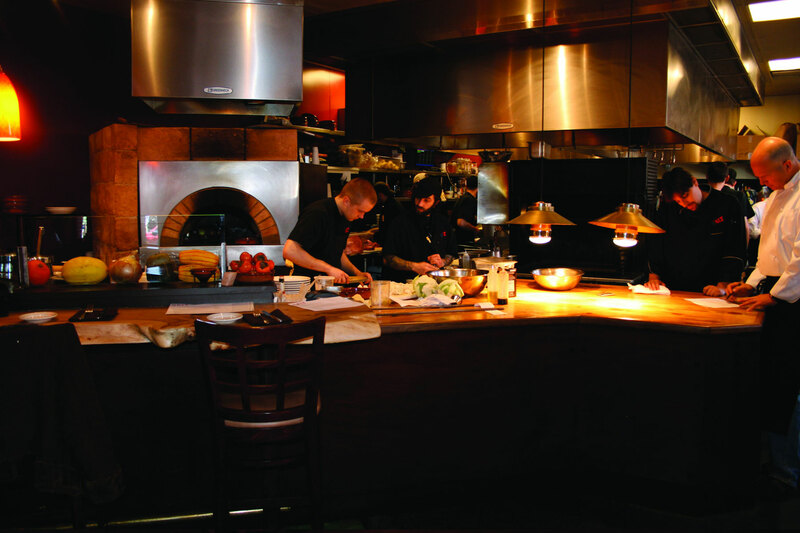 The wine list is possibly the most Colorado-centric you’ll find at a haute eatery. With more than a dozen local selections by the glass, including Boulder options, you can enjoy the flavors of wine country without leaving the Front Range region. Visit the Wineries: Settembre Cellars and Bookcliff Vineyards are two standouts that have full-scale wineries and tasting rooms in Boulder. Both handle reds and whites with equal care, producing Old World-style wines that will impress even the most refined palates. While several Denver restaurants have made names for themselves with their Colorado cuisine, one has become synonymous with the farm-to-table approach. Root Down turned a 1950s Highlands-neighborhood gas station into a fine-dining destination with a brand of creativity it calls "improvisational" — with individuals contributing their experience to create new culinary experiences, as opposed to one chef steering the ship. Root Down has its own gardens and is committed to sourcing meats and produce from local farms. Despite the restaurant's close-to-the-farm ethos, its location overlooking Denver's skyline and brilliantly repurposed design details (garage doors roll up to an incredible-view patio and the floor is a recreated basketball court), the vibe is very hip and very urban. The wine list features a splash of Denver wine, including some from the nationally acclaimed Infinite Monkey Theorem Winery, which is located a few miles away. Visit the Winery: Infinite Monkey Theorem, located in River North Art District, produces wines that have been reviewed favorably in the wine drinker’s bible, Wine Spectator, as well as by numerous other esteemed critics. Visit the tasting room, or book a $25 one-hour tour of the winery, which includes tastings of their favorite selections of bottled, kegged and wine in a can. With its stunning San Juan peaks dropping right into a box canyon, it would be easy to assume that typical mountain pursuits would overshadow everything else in Telluride. But some might say this resort hamlet has perhaps the highest concentration of fantastic food anywhere in Colorado. 221 South Oak — led by owner, chef and cookbook author Eliza Gavin — serves rich, delicious mountain food that many come to expect from Colorado. Staples such as Colorado rack of lamb lead the way and can be paired with a Sutcliffe Vineyards merlot. A chardonnay from the same vintner is perfect for many of the seafood dishes and starters on Gavin’s tasty menu. Check their website for upcoming wine-pairing classes with the chef. Visit the winery: Nestled against the walls of picturesque McElmo Canyon near Cortez, John Sutcliffe managed to start a vineyard and winery in a desert-like spot few would have believed could produce world-class wines. Just an hour’s drive from Telluride and minutes from Mesa Verde National Park, the scenery at Sutcliffe Vineyards is as stunning and surprising as Sutcliffe’s wines. Palisade, the heart of Colorado’s wine country, has only 1,400 full-time residents yet it offers a full-production brewery (Palisade Brewing Company), a small-batch distillery (Peach Street) and more than dozen wineries within a few square miles. It also has developed a rising culinary scene thanks to wine-country visitors clamoring for sophisticated options. Inari’s Bistro is the highlight, with a menu that starts with modern-American dishes touched with Asian and Hispanic influences. Being less than a mile from the closest winery means the list is decidedly local. Many of the Rieslings, Gewürztraminers, cabernet francs and merlots that grow so well in Colorado are represented on the list. Visit the wineries: If the weather is nice, Rapid Creek Cycles in the heart of the historic downtown Palisade rents cruiser bicycles, which make for the most pleasant way to tour many of the vineyards nearby. Hills are minimal and distances are short. Start by pedaling out a few miles to St. Kathryn Cellars to visit its large tasting room and gift shop. On the way back toward Palisade, swing into Garfield Estates, which produces some of the crispest whites in the Grand Valley, and then visit Plum Creek Winery, which has won over many with its rich and bold Palisade Red blend. Learn more about Colorado’s wine regions and the other gourmet delights found in Colorado’s wine country. Photo courtesy SALT, The Bistro.